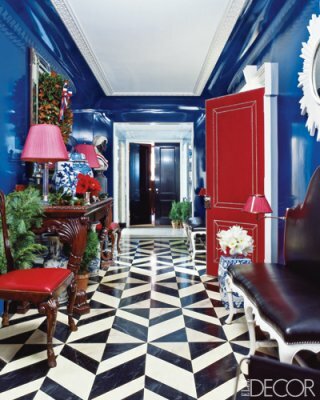 for a long while now i've been contemplating painting some of my walls with a high lacquer finish. beautifully, albeit boldly, illustrated here in a room by miles redd. no reason i couldn't, i guess.